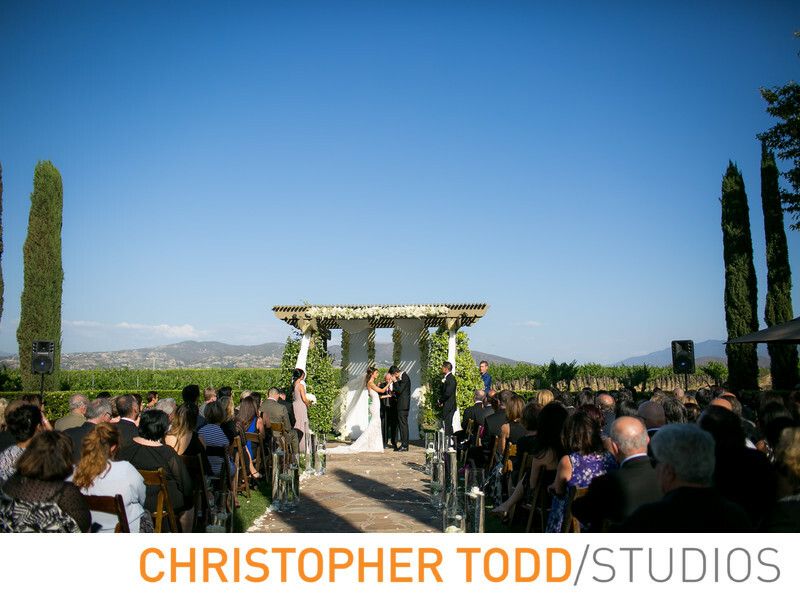 The wedding guests were shaded by the cypress trees at this outdoor ceremony at Ponte Winery. The couple stood under the arbor decorated in flowers for their vow exchange. After the ceremony the guests enjoyed a fine cocktail hour on the patio. 1/6400; f/2.0; ISO 100; 35.0 mm.